A genuine jewel in the crown of the Boglietti holdings is the famous ‘Roscaletto’ vineyard in La Morra. Inherited by Enzo from his uncle, though planted exclusively with Barbera it is actually situated in prime Nebbiolo country. 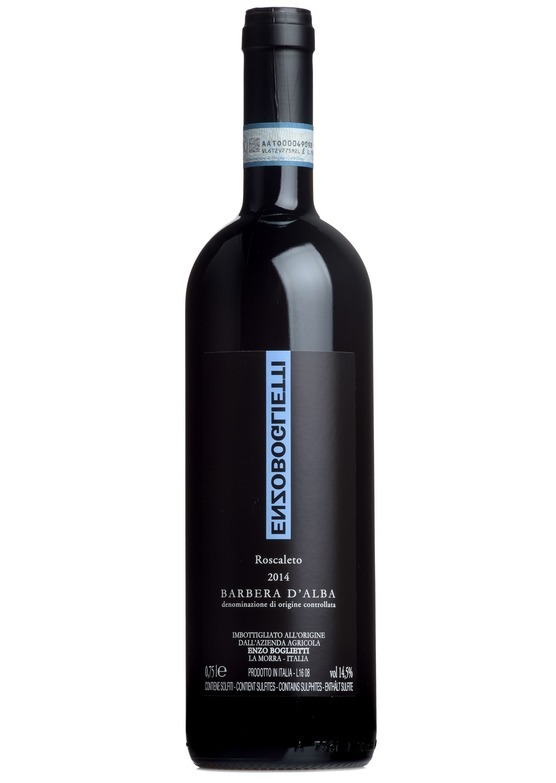 So concentrated and focused with tremendous aromatic complexity and drive, this cuvee gives way to a bold and exuberant core of rich, fully ripe and concentrated coco, red cherry and damson fruit flavours. There is guile in the glass too, with a deeply structured, vivacious line of fine tannin and minerality flowing through the wine’s core. Creamy vanilla notes from French oak maturation compliment perfectly the plush, velvet like texture in this wine. There is real soul here as well as effortless panache. Simply stunning.